A special playground for toddlers. Do you fancy a ride on the triple caterpillar slide? Or the tumble teddy bear? 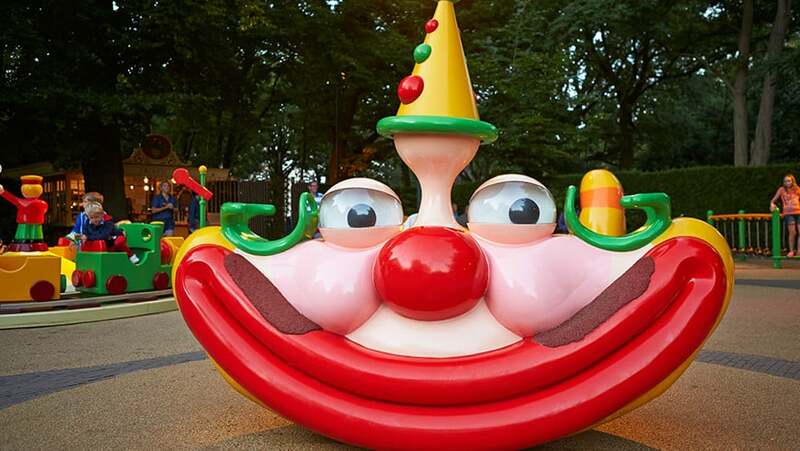 The Kleuterhof Children's Playground has 20 things to play on! He used to be located at the site of the playground at Station Noord. That was a train station. 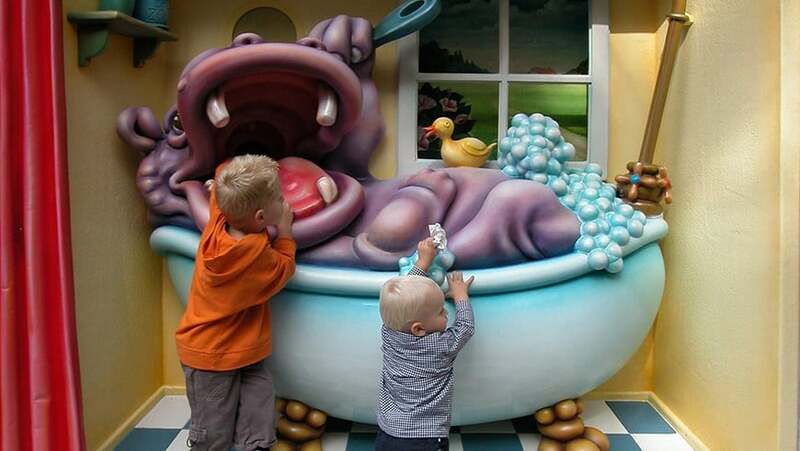 In the Kleuterhof Children's Playground, you’ll find Hippo in the Tub. A duckling sits on his belly. The duckling will tell you that Hippo finds paper delicious!